For the third assignment in Photography 101, our theme was water. 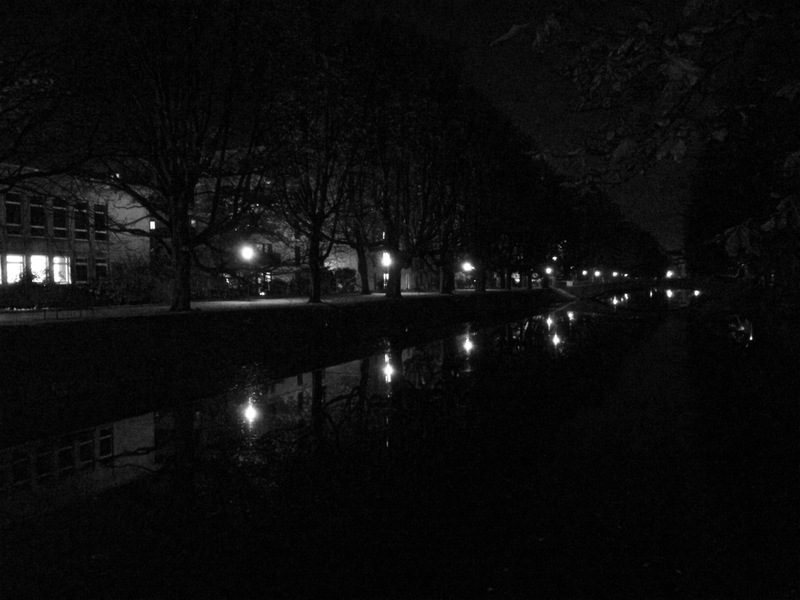 As I had to work until now, my shot is a night shot of a small river side near my work place. It’s a nice spot, day and night. I thought the picture worked best in black and white. Do you like it?